The emicro Condor is the ultimate fully electric scooter operated by a unique two-way twist throttle and handbrake. Packing a 500w motor and large 200mm anti-slip tyres there is no question of its superiority on e-scooter market. The emicro Condor can reach speeds of 25km/h with a range of 20km dependent on weight of rider, selected speed/power setting and terrain. Designed with the rider in mind the features of the emicro Condor work to create an exhilarating yet comfortable ride giving you the ability to make the most out of your travel. The power is yours, take control with the emicro Condor. Rob our customer service and on-site technician is our man for everything emicro. 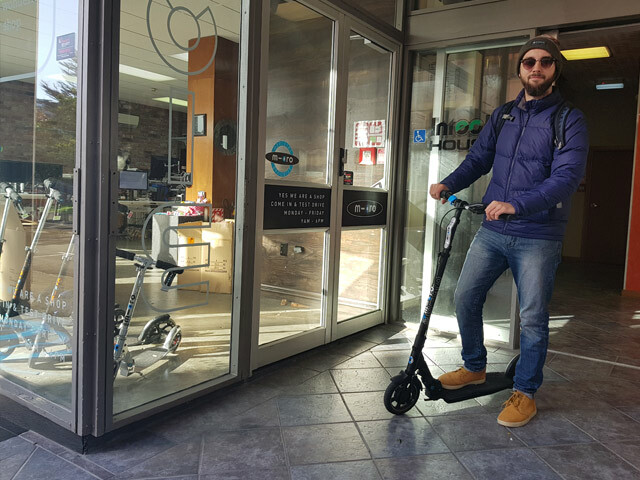 He has ridden the emicro Condor 8km every day for the past six months and sat down with us to share the 5 ways the electric scooter will change your life. Now, on the emicro Condor it only takes me about 15 mins to get to work, so it’s halved my time. With the emicro Condor, I wake up later, get up later and leave later. I grab my bag and coat and I’m good to go. It’s nice having the freedom of getting up at a reasonable time and leaving at a reasonable time. Not to mention I don’t need to worry about the bus being late, missing the bus, or having to get a seat – I know where I'm at. Its stress free, hassle free and it’s a fun way of getting around. 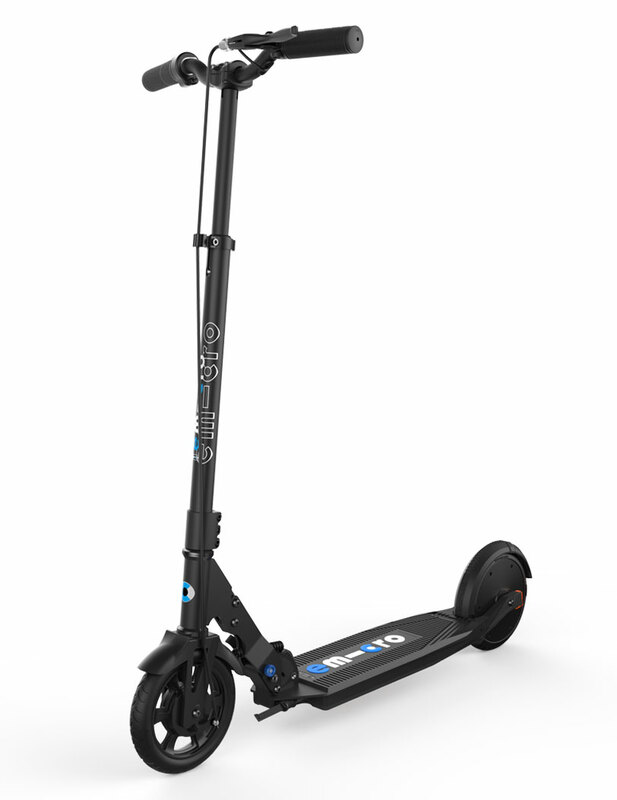 I sometimes find myself thinking of excuses to use it on weekend as well – where can I scoot today? I enjoy scooting past the cars that are queuing up on the commute home. They're all sitting there in traffic and I’m on my way. One of the greatest things is beating the traffic. "One of the greatest things is beating the traffic." I find that the emicro Condor encourages me to do more – for example I needed some new guitar strings instead of going down to the bus stop thinking do I have enough money on my Snapper (all that kind of stuff). 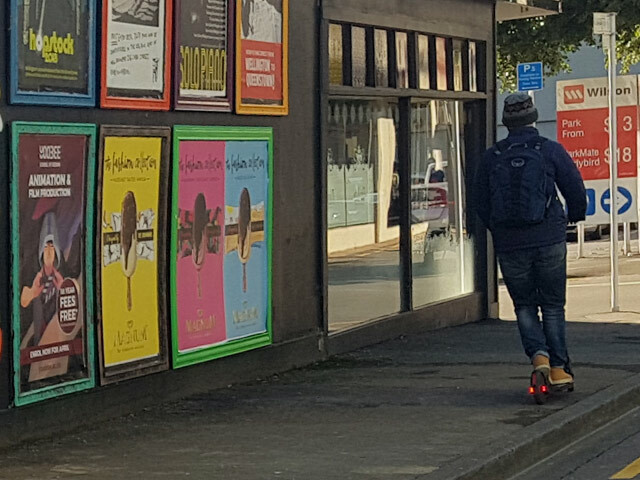 I just grabbed the electric scooter and went and I was back and forth in about half an hour. 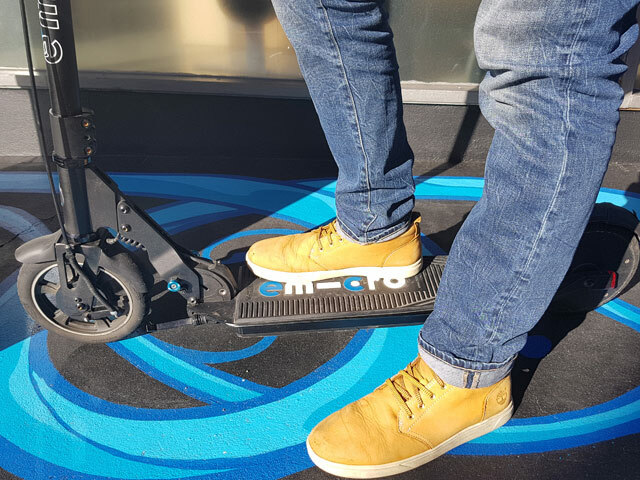 I encountered a man who stopped me mid ride to ask who made it, how fast it can go and where I got it – I guess there is already such a buzz around personal electric transport. Even stopping at the lights to cross the road I had a guy stop on an electric bike wanting to talk about the emicro Condor. He mentioned that he'd had his bike for some time but also had looked into electric scooters – he was surprised at how fast it can go. It’s fun to take over cyclists on it as well, I quite enjoy doing that. In comparison to an e-bike, I look at the price – the emicro Condor is a lot cheaper than an e-bike and the fact that you can fold it and still carry it on a bus or a train or in the boot of your car if need, that's a great point of difference. The experience of riding the emicro Condor is great. My enthusiasm is so great that even if I didn’t work for Micro I would still shout praises about the electric scooter as it is such a fun thing to use and ride. It’s a great way to get from one place to another without the hassle of worrying about buses, about paying for travel and about delays in the travel. There is just no stress at all.